Come on, admit it. 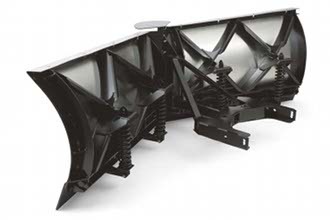 With the ability to change from V to straight to scoop mode, plowing snow with the XtremeV™ is kind of a rush. Fast hydraulics and the FISHER® trip-edge design mean you can get in your zone with no wake-up calls. And if getting the jobs done faster means you make more money, now that’s real power! Visit our suppliers websites for a full list of their products.